Clearspan marquees offer a functional and attractive space, and our range can be utilized for most occasions. Clearspan marquees have eliminated the need for interior poles and guide ropes, which means more internal space and a smaller external footprint. 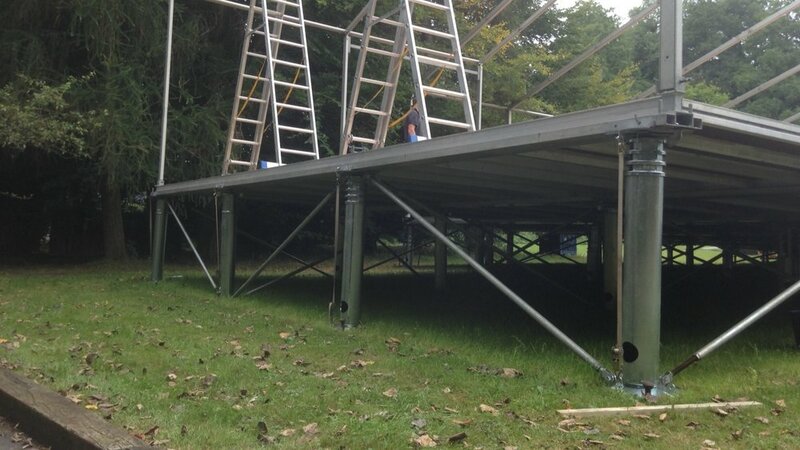 With a vast range of interior fixtures and fittings we can create a marquee suitable for parties, weddings or storage. 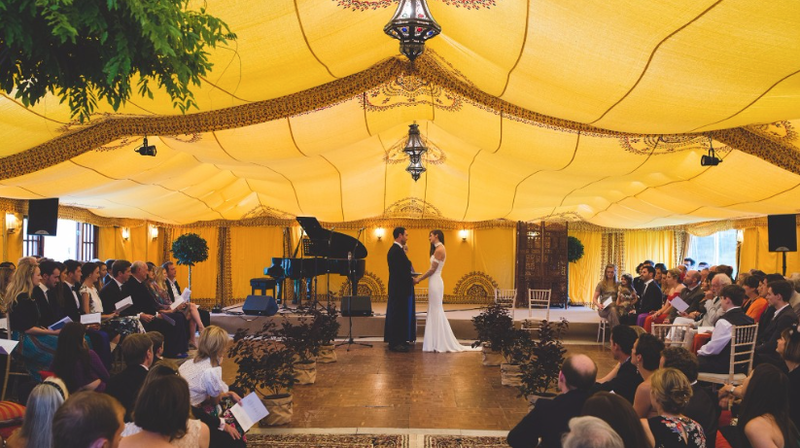 Leave your marquee unlined or choose from our range of ivory, coloured or starcloth internal linings to create the ultimate dining and dancing environment. Add real doors, solid panel or window walls to match the requirements of your event. With a choice of interior flooring we are able to place our clearspan structures on most surfaces, and with our professional levelling systems slopes are not an issue. To discuss hiring our clearspan marquees for your event call 01993 622 339 or email booking@alternativestructures.co.uk. 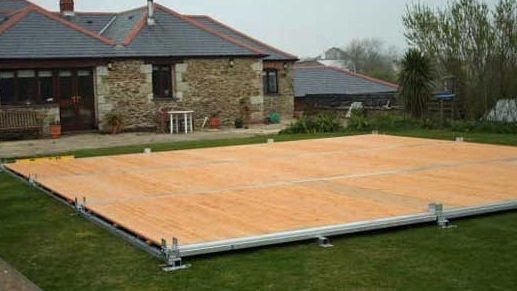 Clearspan Marquee with peaked roofs, We are able to add more interesting features to the usual ‘White Box Marquee’. 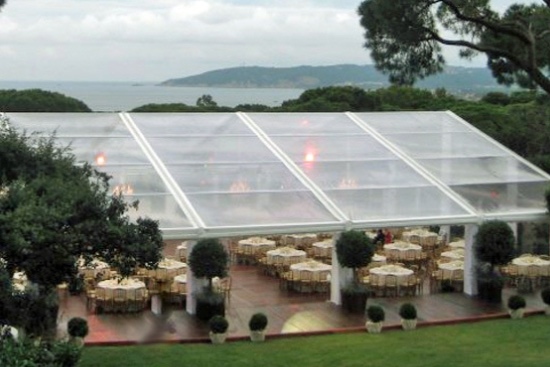 Clearspan Marquee with clear panoramic roofs on solid flooring. 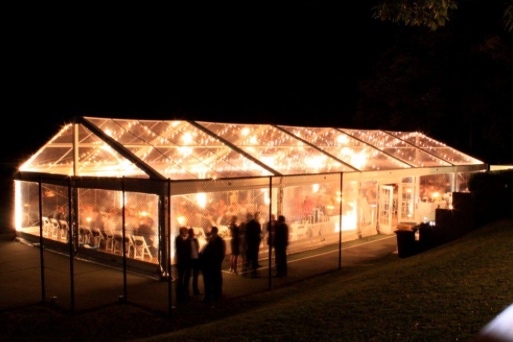 Clear Marquees with festoon lighting creates a stunning evening event space. Dance floors, sofas and poseur tables are just a few of our options. We can level a site upto 2m high. We have a wide choice of lining styles including this stunning Indian Themed Printed Lining.